Friday has finally shown it's fabulous face...woo-frickin-hoo! relaxing, eating, reading, partying, eating, beaching. What are you all up to for the long weekend? emails and tweets about it and I finally found one for you guys that is similar! and leave it open it's very similar! Good. To. Go. Yippee to Friday. :) And yay for the long weekend. the trench is so fab and so are your shoes! happy friday hun! PS haven't dried any mint for tea yet but I did pick some arugula from my garden for a little salad...delicious! Loving those ruffle shorts, they're super cute! I want to bbbeeaaccchhhh! Was that too whiny? haha. Those shorts are adorable! 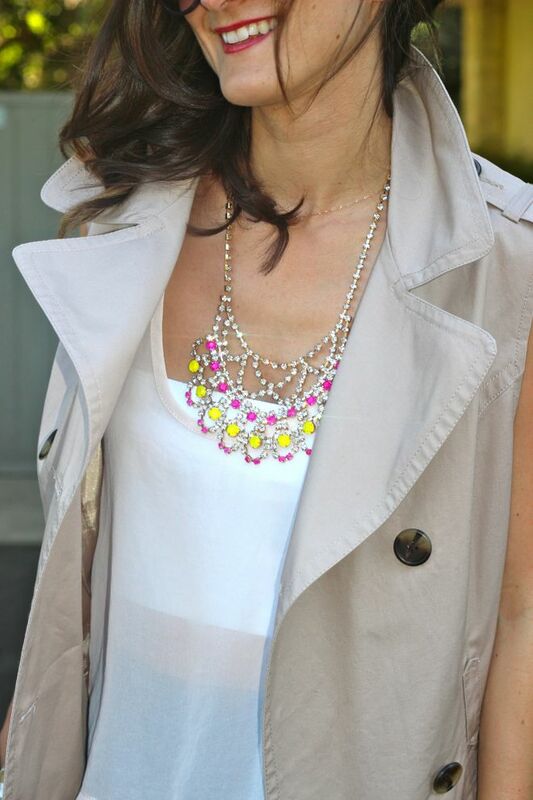 love love love the sleeveless trench and that necklace! I'm still in love with that necklace. Have a great weekend Nicole! I am in love with those retro style Chloe sunnies! 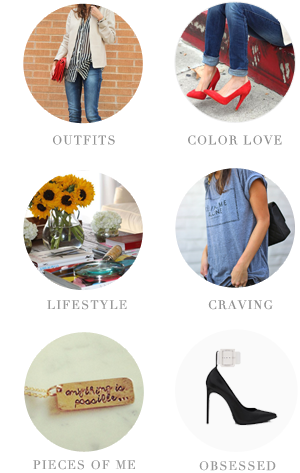 Love how you put this outfit together--so much style! It sounds like your weekend will be fun. Enjoy. Love the trench! Great look. Hola preciosa, siempre elegante y chic!!! I thought the necklace looked familiar! Your weekend plans sound divine! Hope you had fun! I am so in love with that trench!! I still cannot believe you found it at F21, what a great buy. I wish they still had it in stock. I'm also really loving those ruffle shorts. Okay, I just love your entire outfit. I remember that trench - love it! !